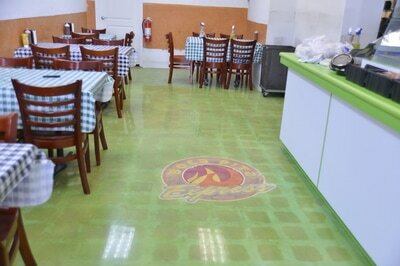 Boca Raton Epoxy Flooring is the premiere choice for residential and commercial epoxy in Palm Beach County! 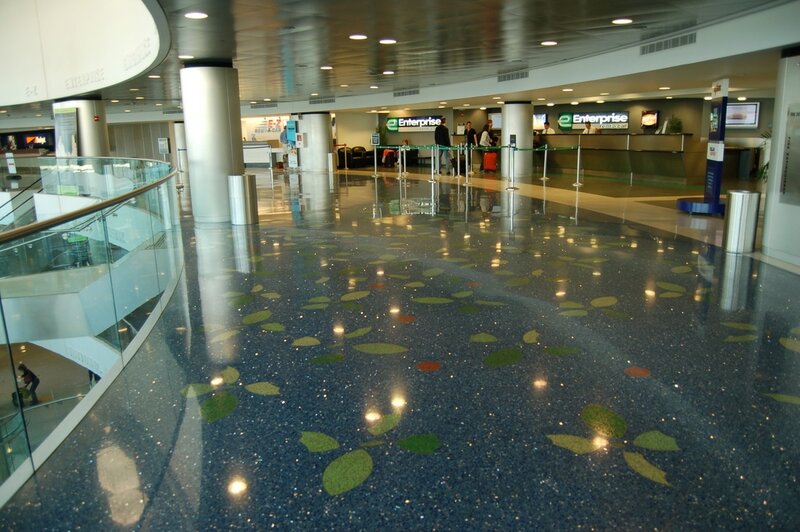 We are the leading provider for commercial and residential epoxy flooring for the city of Boca Raton, Florida. We have been in business for many years providing high-quality floor installations for warehouses, garages, clinics, commercial buildings, and so on. 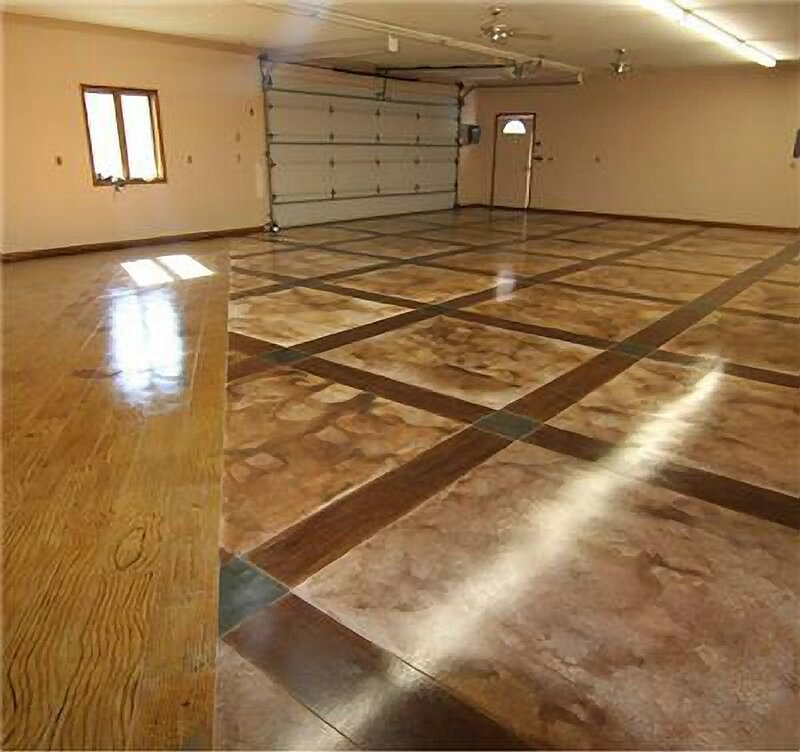 Whether you want a new garage floor with dyed concrete floors or if you just want to repair a chipped, damaged warehouse floor with a metallic finish, you're in good hands. You will be completely satisfied with our free consultation and affordable plans for each type of flooring. We love to educate our customers so they know which is the best option and how to make it last for them. Epoxy floor coating is a great way to protect your floor because of it's everlasting durability and nice aesthetic shine it will give your building. We also have types of epoxies in stock for purchase and offer DIY training for the hobbyists in mind. We'll have most if not all materials for you to purchase to create and install your own epoxy floors. What is Epoxy Flooring & Why Us? Epoxy flooring is a special type of coating made with resins that we use to make concrete flooring last longer, slip free, and aesthetically attractive. It is also used to reduce any type of stains or marks depending on the type of activity that the room will be used for. 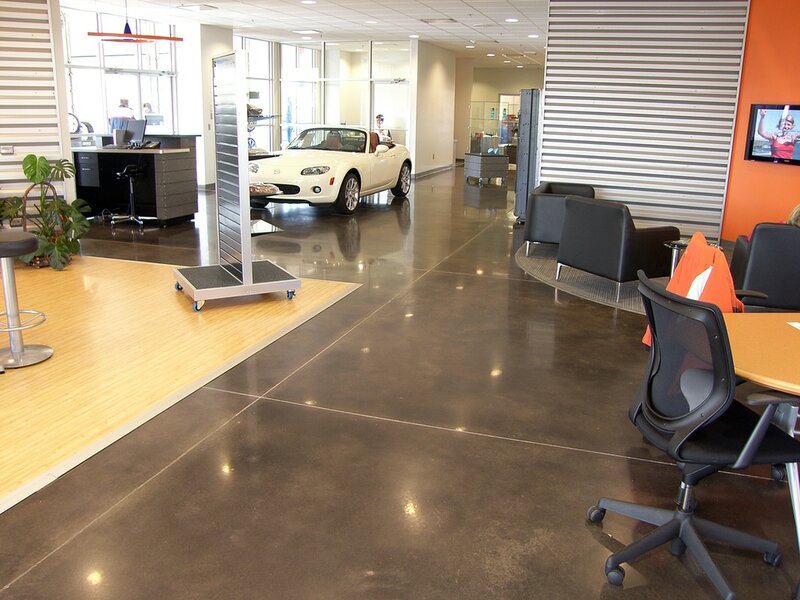 For example, garages and car showrooms should not only have beautiful shiny floors, but also special epoxy coating to prevent or hide skid marks and tire marks. Our company, Boca Raton Epoxy Flooring, takes all factors into account when we decide what type of coating would be best for your floor. We have a process where we explain everything to you and we're completely transparent with the process and with the costs. For more info on our flooring, check out our services page. We proudly serve Boca Raton, but also the other surrounding cities in Palm Beach County. Since the cities are so close, we provide service within a 60 mile radius of Boca Raton. Some of the most populated cities we service are West Palm Beach, Jupiter, Boynton Beach, and Delray Beach. We also serve Broward County cities such as Pompano Beach, Fort Lauderdale, and Hollywood. Visit our services page for more information about how we can best serve you and visit our contact page to get in touch with us. If you're looking for a quick quote, call our number at (561) 207-8541. Most industrial and commercial businesses have been poured on a foundation of concrete. Let's face it; an auto repair shop is not going to bother installing hardwood floors or ceramic tiles, what's the point of that? Concrete flooring is inexpensive, it's relatively durable and most of all it is simple. For a lot of industrial spaces, the design aesthetic is not the most important factor in the building; it is the space and the layout that comes out on top because those factors are what are going to be the most important for workflow. However, although concrete is simple and easy, it still comes with its issues. First of all, it can crack over time, and you certainly do not want to be in a workshop that has a potential safety hazard like a crack in the flooring. 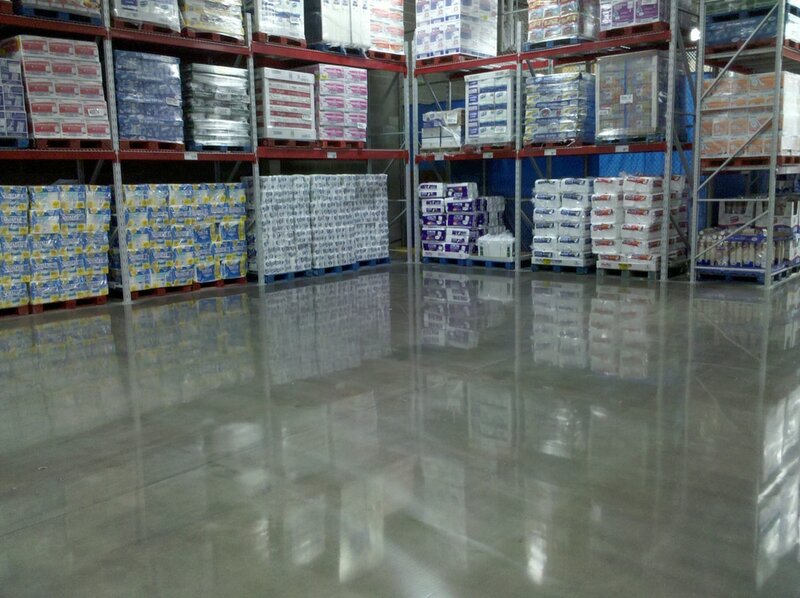 Also, by just the general nature of how concrete is poured and set, it is incredibly hard to have the floor, especially in a large warehouse-sized space, that does not have to seam. Depending on your line of business, seaming can also be a potential safety issue, especially if your business requires large pieces of machinery or goods to be rolled across the floors. The good news is that there is a relatively simple fix to the concrete flooring problem that is going to both prevent cracks and get rid of seams. 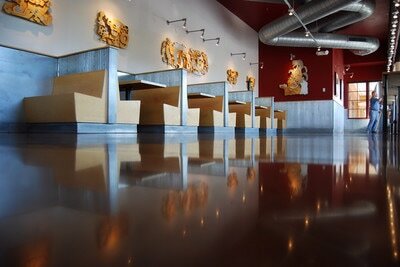 The most appropriate way to do it is to use commercial floor coatings. These coatings provide a thick and durable layer of resin over the concrete floors that essentially gives it a protective coat and levels the flooring out, so it is nice and smooth and even. The most popular of the commercial floor coatings available on the market today is epoxy. 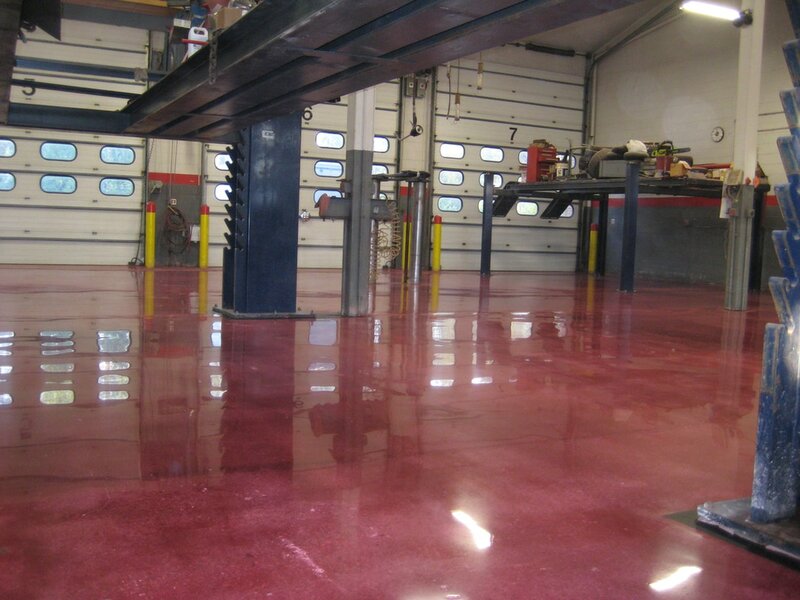 Epoxy is a thick resin that gets poured over concrete flooring and has some crucial benefits when it comes to commercial and industrial use. The biggest benefit is that it removes a lot of potential safety hazards. There will be no more cracks, no corrosion of the concrete, and no exposure to chemicals once this epoxy is poured. It is a highly durable and relatively inexpensive way to protect your commercial or industrial flooring for many years to come. Along those same lines, seamless epoxy flooring removes any leveling issues from the concrete and makes the floor totally flat and smooth; you will not have to worry about seams or rats when moving equipment or products across the flooring at all. Finally, high-quality epoxy flooring is also going to make those floors much easier to keep clean. Regular concrete can soak up water and chemical spills eventually causing the floor to crack and corrode. Epoxy resin over the concrete is going to fix these problems because water cannot soak in through the thick layers of epoxy on the floors. If you do operate a commercial or industrial building, then it makes a lot of sense to cover those simple concrete floors with a high quality and durable epoxy, this covering is going to be able to preserve your work space for a long time.